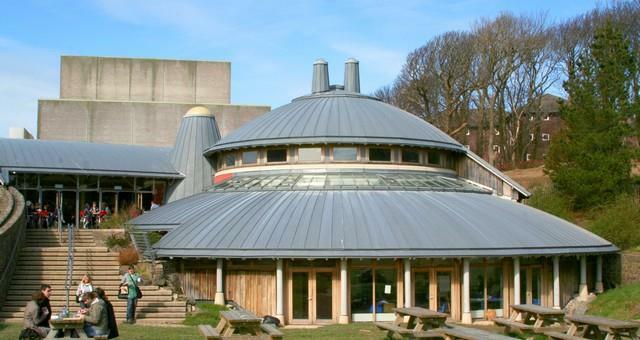 Conferencing at Aberystwyth Arts Centre01970 622884workConference non-residential venueThe Arts Centre can cater for events and conferences up to the capacity of 900 people. The cinema provides a perfect setting for a conference of up to 100 or for bigger events the theatre seats up to 300 people, and 900 in the Great Hall. Break-out rooms can be arranged, as can projection equipment, and catering.